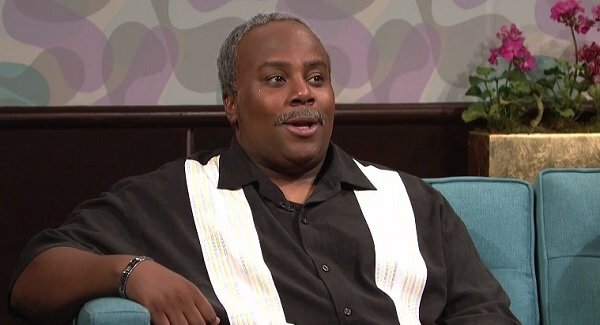 Over the past 40 years, Saturday Night Live has taken its satire to some particularly dark and controversial places, in between all the silly stuff. And here’s the surprisingly fitting and hilarious way the cast and crew took on the recent shootings at the Muhammad Art Exhibit and Contest in Garland, Texas. You know we’re living in a strange time when a Win, Lose or Draw-type game show can be the ultimate form of self-reflection for a senselessly horrific attack on free speech. Last week in Garland, Texas, two shooters opened fire on an exhibit depicting cartoons of the prophet Muhammad, which took place at the Curtis Culwell Center, the setting of a pro-Islam conference held in January after the Charlie Hebdo attacks. It was a scene that didn’t inherently provoke much mirth or laughter, and yet Saturday Night Live managed to find the best angle imaginable for shining a light on it. In a sketch co-starring this weekend’s guest host Reese Witherspoon, Taran Killam hosts the draw-to-win game show “Picture Perfect,” in which the main joke is that Bobby Moynihan’s character is far too frightened to draw a picture of Muhammad for a chance to win one million dollars, with the alternative being the same amount of money being taken out of the contestants’ bank account. Perhaps more interesting than the sketch itself is the simple question whether or not the average person would risk publicly putting forth a Muhammad doodle for the chance to win money, knowing that the risks involve “extremist assault.” Luckily for “the Hoffmans,” no one had to actually put the marker to paper in order to win the money. It’s still one hell of an icebreaker. For all its seeming cleverness, though, it appears as if the Saturday Night Live writers nipped the premise of this sketch from the Canadian sketch series This Hour has 22 Minutes, which offered up a more concise take on the concept. You can watch it in the video below, complete with the same punchline. Don’t forget to tune into the Season 40 finale of Saturday Night Live on May 16, with guest host Louis C.K. and musical guest Rihanna.